Intentional and Diligent are two words that Tanner strives daily to live by in all facets of his life. In Real Estate, being intentional with each client he works with to understand their needs and diligent in finding the right solution for all parties involved. After growing up in South Central KS, Tanner received his Bachelor’s degree in Business Administration from Tabor College in Hillsboro, KS. 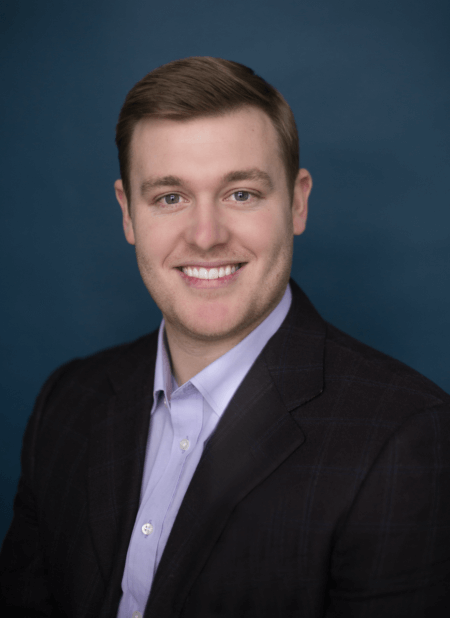 With a firsthand experience of the real estate landscape for this area, Tanner understands the market and can provide the creative solutions to help his clients take control of their lives. With the self-proclaimed title of Land Hunter, Tanner takes great pride in researching, preparing, and successfully tagging that trophy property for his clients. With a specialty in working with non-resident outdoorsmen, looking to stake their claim to the many rich hunting experiences Kansas has to offer, Tanner understands how to maximize that property, treating “natural resources as assets”, for the most value added experience possible. Tanner, his wife, and their daughter are passionate about the outdoors and the many benefits the country lifestyle brings.